What is "Eco - Ethical?" 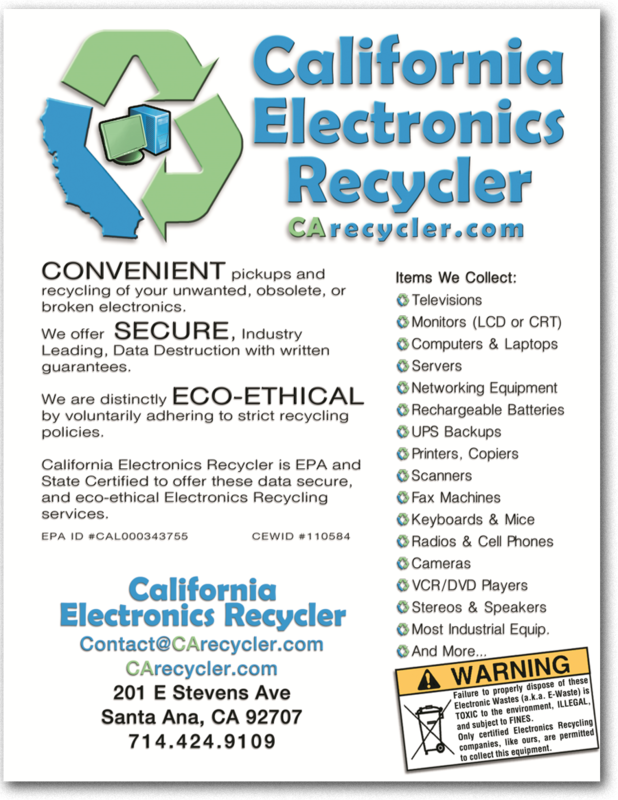 We make every effort to prevent your electronic waste from being shipped overseas. Our downstream recyclers ensure all materials are handled properly throughout the chain of custody. Whenever possible we prefer to use R2 Certified recyclers as our downstream vendors. Why Choose R2 Certified Recyclers? We prefer to use R2 Certified recyclers as our downstream vendors whenever possible. While we first perform all data destruction in-house, using R2 Certified vendors adds yet another measure of security. R2 requires downstream due diligence on all vendors handling focus materials to ensure materials are handled properly throughout the chain of custody. R2 prohibits the export of equipment and components containing focus materials to developing countries unless the transaction is legal under both the export and import countries’ laws and the receiving facility is state-of-the-art. Recognizing the importance that reuse has, both environmentally and socially, R2 establishes a “reuse, recover, dispose” hierarchy all along the chain of custody for material handling. R2 certified recyclers that test equipment diverted for reuse, and confirm key functions of the unit are working, may export this equipment. Without such testing and confirmation, such equipment must be treated as though it is going to recycling and may not be exported unless the R2 exporting provisions for recycling are satisfied.